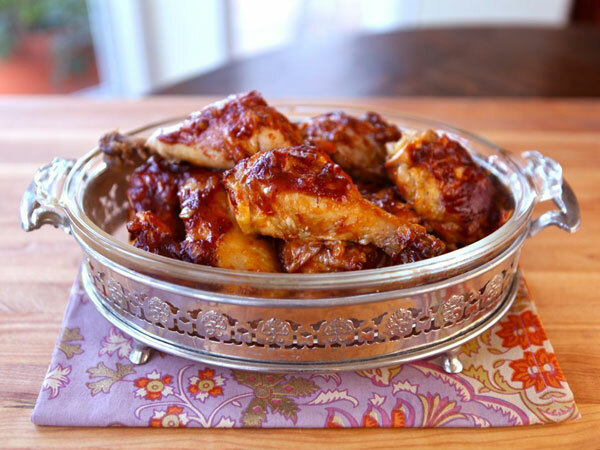 Place browned chicken pieces in a 9×13 baking dish. In a saucepan, combine ketchup, Worcestershire sauce, water, A-1 sauce, sugar, cider vinegar, onion and garlic. Whisk together over medium heat till warm. In a small bowl, whisk together 2 tbsp cornstarch with 2 tbsp cold water till smooth. Slowly add the cornstarch mixture to the barbecue sauce, whisking till incorporated. Continue to whisk over medium heat till the sauce is hot, bubbly, and thickened. Remove from heat. Pour the sauce evenly across the top of the chicken pieces. Cover the roasting dish with foil.